Well, the Screen Actors Guild and the Golden Globes announced their nominations this week and shocked us with noms for both Jake Gyllenhaal in Nightcrawler and Jennifer Aniston in Cake, throwing the race a fantastic curve ball as we start to enter the nitty gritty of awards season. Veteran actor Robert Duvall also hit both precursors (for The Judge) and is now a formidable opponent in Best Supporting Actor. On this podcast, Gold Rush Gang member Peter and myself welcome Awards Circuit founder and editor Clayton Davis as a guest for the first time. He has a lot of insight on the race, how things might play out at the BFCA (of which he's a member) and the three of us discuss how the above-mentioned three will change the game. We get into the rise of The Grand Budapest Hotel and the likely Oscar coming out party for Wes Anderson, original screenplay gets a lot of talk as does Selma and the Golden Globe snubs of Unbroken and American Sniper. Oscar Podcast #19: LAFCA, SAG, Golden Globes, Oh My! In this juicy edition of the AwardsWatch Oscar Podcast, Richard and I dive deep into the Los Angeles Film Critics Awards (tomorrow!) and our nomination predictions for the Screen Actors Guild and the Golden Globes happening next week. At LAFCA we talk about the potential battle for Best Actress between Julianne Moore in Still Alice (and possibly Maps to the Stars) and recent NYFCC winner Marion Cotillard for Two Days, One Night (and possibly The Immigrant). Mr. Turner, Timothy Spall (also the recent NYFCC winner) and Mike Leigh come up as heavy favorites and I push Scarlett Johansson in Under the Skin as a possible alternate in Best Actress. With SAG there is a lot of agreement between Richard and myself as well as with the Gold Rush Gang. Selma seems to be the question mark since Paramount didn't get screeners to voters due to the film being locked too late. How much will that affect the film's chances in Cast and Best Actor? Over at the Golden Globes there is a lot of agreement in many categories but with Angelina Jolie's Unbroken a bit up in the air. Many of the GRG have Jolie in Best Director but I wonder if those predictions aren't as updated as they could (or should be). I have her in, and the film everywhere, in spite of the very mixed reception its gotten since its premiere. But this is the HPFA and they're going to want their star wattage. All that and more on this podcast. Oscar Podcast #16: Where Have Selma and Unbroken Gone? In this new Oscar podcast, Erik, Kenneth, Matt M and Peter discuss where Selma and Unbroken are in the race. Have they fallen? Are they steady? With a handful of AwardsWatch members having just seen the first and only Selma screening, there's lots to tell and lots to talk about. We also take a crack at the juicy Best Actor category, overflowing with potential contenders with Michael Keaton in Birdman, Eddie Redmayne in The Theory of Everything, Jack O'Connell in Unbroken and Sony Pictures Classics' dilemma of too many players. Of course, we also talk about Best Actress and just how locked Julianne Moore is for Still Alice. Later we talk about the resurgence of Into the Woods and its Best Picture chances and ponder some of the documentary and foreign language film contenders. In this Oscar podcast the gaggle of Gold Rush Gang members (Erik, Matt M, Kenneth and Evan) dish on all things ladies; Lead Actress, Supporting Actress plus the hot Best Director race that could feature, for the first time, two women - Angelina Jolie and Ava DuVernay. We also discuss their films, Unbroken and Selma, respectively. 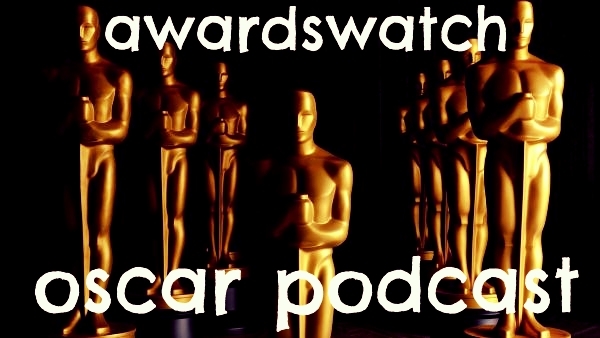 In this Oscar podcast Erik, Peter and Richard discuss the Cannes Film Festival lineup for 2014 and how it may affect or reflect the Oscar potential for films like Foxcatcher and The Homesman. We also analyze our first predictions of the season and compare them with the forum polls, featuring Gone Girl, Big Eyes, Interstellar and A Most Violent Year. There also might be a little bit of shade directed at Gold Rush Gang member Jason, aka Dirk Diggler. Enjoy! In this epic podcast, recorded Monday, January 13, 2014, Erik and Kenneth discuss the recent Golden Globe winners and make our final Oscar nomination predictions. Wigs are flying so sit tight.